December 15, 2016 0 comments on "A Christmas Ornament Tradition"
When my husband and I got married, my mother-in-law introduced me to one of her favorite Christmas traditions, a Christmas ornament tradition. She has five children, and for years she has been collecting ornaments for each of her children so that they can take their collection of ornaments with them when they have their own families. I decided to start this tradition in our own family. Every year my daughter picks out a new ornament for her own collection. It’s fun to look through all of the old ornaments and see how her collection has grown. The variety of ornaments shows how her tastes and interests have changed throughout the years. You would think only girls would be interested in collecting Christmas ornaments. Actually, my husband has a lot of Christmas ornaments he really enjoys. He has several ornaments representing his favorite college and NFL football teams. He also treasures many of the keepsake ornaments his mother has made for him throughout the years. There are a variety of ornaments you and your children can choose from to collect. If you have the time and desire to make them, you can purchase many types of ornament kits at craft stores. You can find beaded ornaments, ornaments made from felt, ornaments made from plastic canvas, and many others. You might choose to make ornaments with your children. These cinnamon stick reindeer ornaments are fun and easy. Clay ornaments are also easy and fun to make. With this kit you can make clay ornaments from your baby’s hand or foot print. 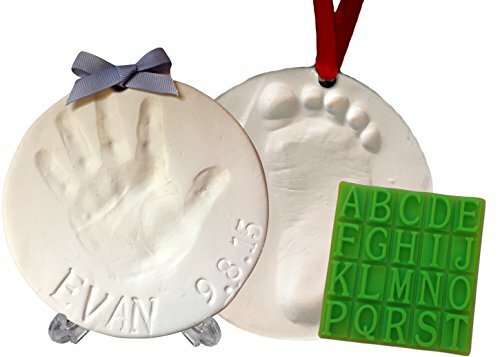 Baby Handprint Keepsake Ornament Kit (Makes 2) – Bonus Stencil for Personalized Christmas Ornaments or Newborn Gifts. With Display Stand! Non-toxic Air Dry Clay. Dries Light & Soft So It Won’t Crack. If you don’t want to make ornaments, buying them can be fun too. This year I purchased my boys’ ornaments at a Christmas craft show. They had clay ornaments made to look like Thomas the Tank Engine that were absolutely adorable. They personalized the ornaments with their names and the year for free. Christmas bazaars are a great place to look for unique ornaments. Look for ornaments while you are travelling. Many gift shops have ornaments you can purchase to remind you of your favorite vacation spots. Ebay is also a good place to find ornaments. 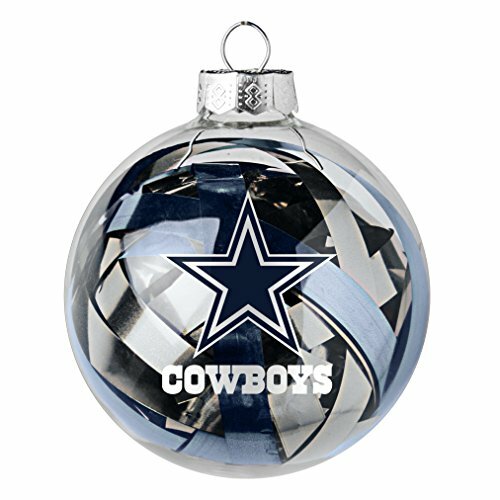 Last year I purchased an ornament on Ebay that had my husband’s favorite football team on it. I’d never seen another one like it, and he loved it. As you can see, collecting Christmas ornaments can be fun for the whole family. Every year your kids will look forward to picking out their new ornament to put on the tree. Make sure to write their names and the year on the back or bottom of the ornament with a permanent marker so you can keep track of everyone’s ornaments! Like this article? 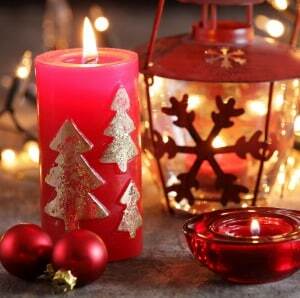 You might also like How to Create a Santa’s Grotto and The History of the Christmas Stocking.